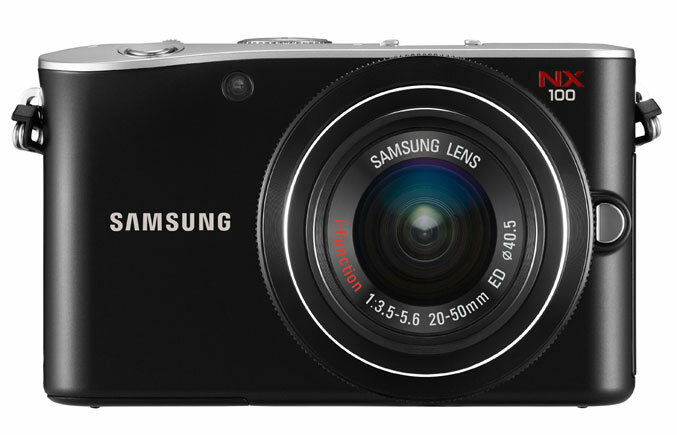 Samsung Electronics launched today the NX100 – a mirrorless camera featuring the first i-Function lens in the world, providing a new way of producing perfect digital photography. The Samsung NX100 is a unparalleled camera that is balanced with an extensive range of accessory and lens, offering real photographers the freedom to express their creativity with the full package. 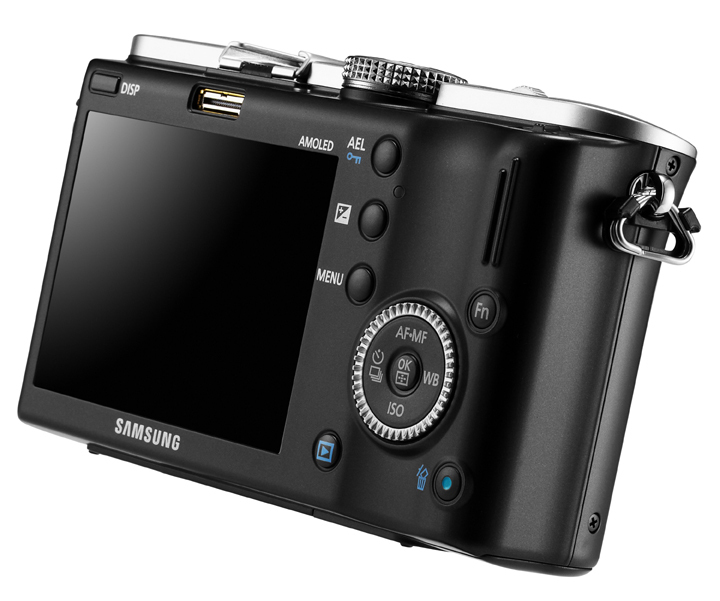 The NX100 is the successor of the first mirrorless camera by Samsung that features an APS-C size sensor, the NX10. Like the NX10, the NX100 comes equipped with industry leading technology like the APS-C size sensor and a three inch AMOLED screen for crystal clear viewing. The body of the NX100 camera is slimmer, sleeker and more stylish than the body of the NX10, and it also features i-Function lens, providing a new level of performance and design. NX100’s ISO is raised to a maximum of 6400 for action shots. 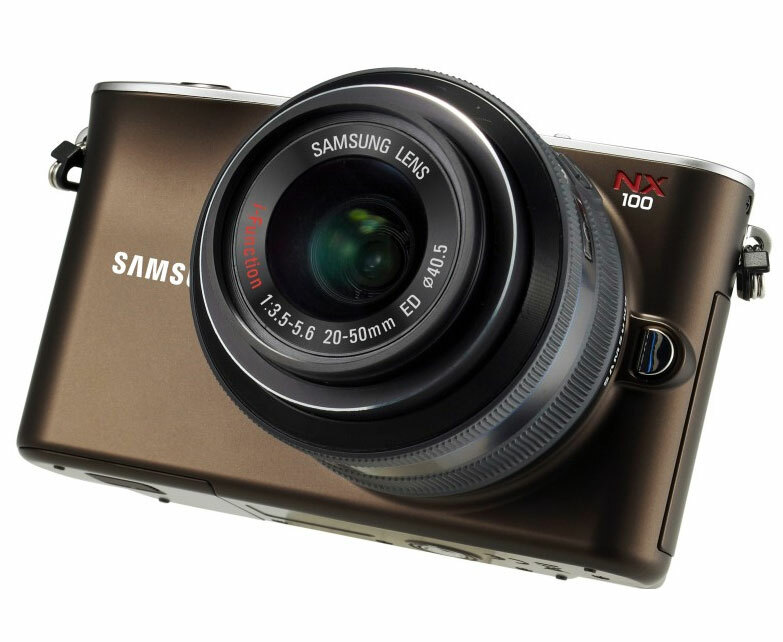 The NX100 comes in black and brown colors and offers portability with its compact and lightweight design. The new proactive i-Function lens delivers total image control with fast and easy manual settings, providing seamless digital image capturing. By using the i-Function button and ring on the lens, photographers can quickly and easily change the shutter speed, aperture, EV, WB, and ISO. Samsung NX100 also features a lens priority mode which provides specifically designed scene options for every particular lens. The camera will automatically configure the best options that would match the currently attached lens. Another feature called “Smart Filter” will provide on-camera effect adoption, which means that photographers will be able to apply effects such as vignette, soft focus, fish-eye and more while in playback mode. 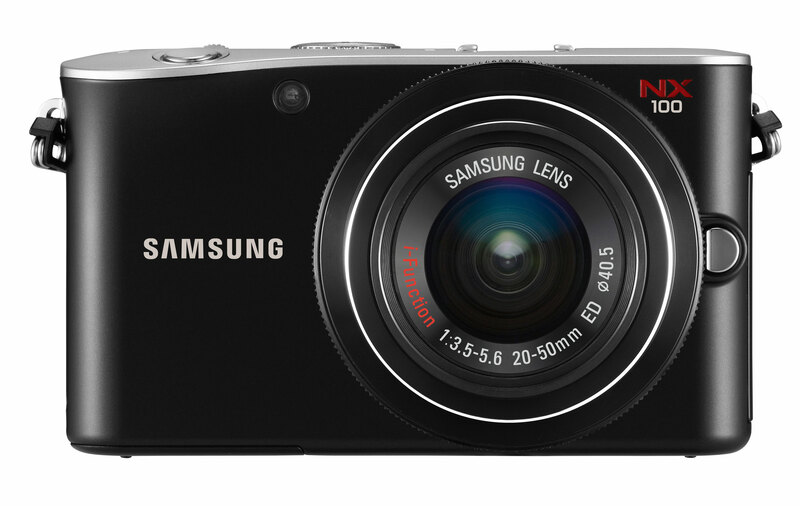 Samsung’s mirrorless NX100 Camera also supports high definition video recording at 720p, and also features a “Sound Picture” mode, which can record audio when a digital photo is shot. The supersonic dust reduction feature also helps when shooting images by removing foreign particles from the lens. 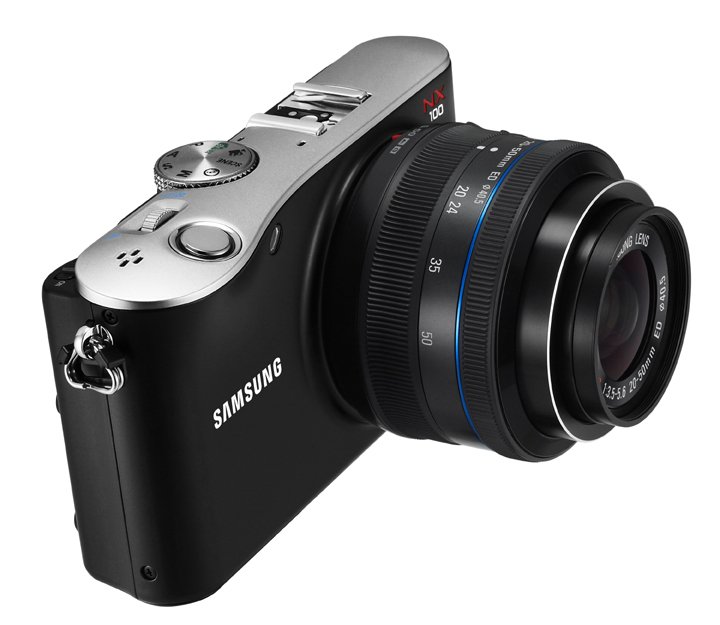 The Samsung NX100 will come with a line of lenses and accessories to enhance the experience of the photographer. This includes a compact zoom 20-50mm lens, a small and light 20mm wide angle Pancake lens, and two additional lenses that will be available in the first half of next year, 2011 – a 60mm Macro lens and an 18-200mm Super Zoom lens. In the second half of 2011, three more lenses including 16mm, 85mm and 16-80mm will be introduced. Will the iPhone 5 Be 2013's Leading Smartphone?